The playbook lacked a chapter on British Columbia’s Passenger Transportation Board. The six-member panel sets fares and interprets provincial rules governing taxis, black cars and limousines. The board is staffed with appointees who are typically older and not necessarily conversant with the latest trends in technology, says David Gillen, director of the Centre for Transportation Studies at the University of British Columbia. In BC, limos and black cars must charge a minimum fare of $75, a rate set to keep them from competing with taxis. In the board’s view, Uber is a limo company breaking those rules, says board chair Don Zurowski, who lives in Prince George, a small city 500 miles north of Vancouver. Gillen also said “The taxi lobby has been very successful,” noting how industry representatives frequently attend fundraisers for Premier Christy Clark’s Liberal party. The Vancouver Taxi Association claims Uber is unfair competition for cabbies, impacting lives due to the rising cost of living in the city. Vancouver clamped down on Uber in late 2012, and according to the Vancouver Board of Trade–which recently urged the province to reconsider the service—has the lowest number of taxis per capita of any major Canadian city. Back in May, cruise ship passengers waited up to 90 minutes for a taxi at Canada Place in downtown Vancouver, with the line up spanning nearly 600 feet in length at one point, reported Vancity Buzz (now known as Daily Hive). Earlier this year, the province appointed the minister responsible for Translink, Peter Fassbender, to consult on Uber coming to B.C., but so far nothing has materialized. 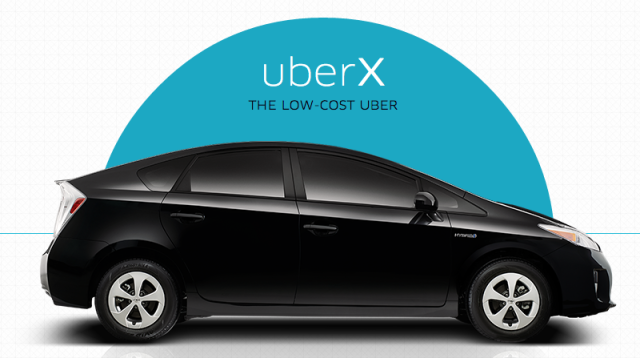 Uber launched a petition at the time, urging citizens to write to municipal and provincial government on their behalf. The campaign currently has nearly 70,000 signatures, closing in on its goal of 75,000. Click here to read the entire Bloomberg story—it definitely makes you wonder what exactly is holding back Uber in Vancouver, despite Alberta and Toronto working to embrace the service.